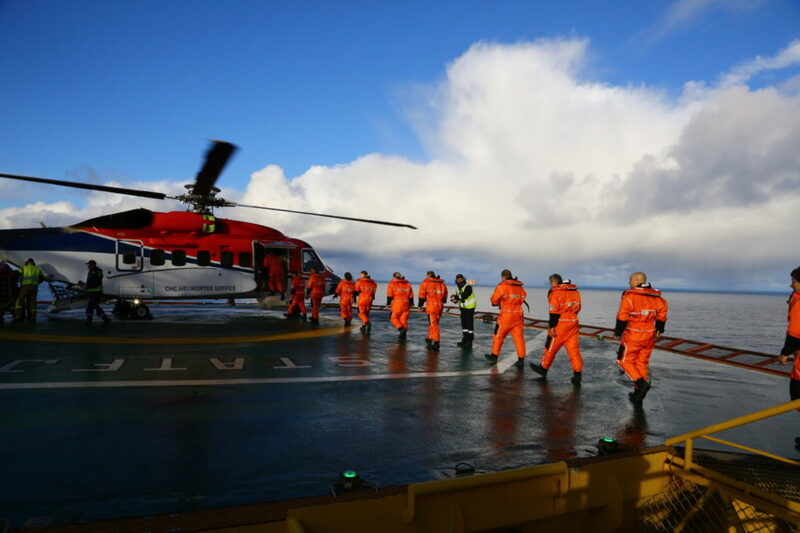 Sikorsky — a Lockheed Martin company — recognized the heroic efforts of a CHC Helicopter crew with a Sikorsky Rescue Award, highlighting a successful search and rescue mission conducted with an S-92 helicopter. Sikorsky president Dan Schultz presented the Winged-S Rescue Award in a ceremony at the 2019 Helicopter Association International Heli-Expo. The crew instructed the sailors to jump overboard to be winched to safety while keeping contact with the vessel. Within 20 minutes of arrival, both survivors had been pulled aboard the S-92 helicopter and were receiving treatment. The boat sunk shortly after the rescue, but due to the quick work of the CHC crew and the search and rescue capabilities of the S-92 aircraft, both individuals were unharmed. Beginning in 1950, the Winged-S Rescue Award Program honors those who perform rescues flying a Sikorsky helicopter. Through this award, Sikorsky acknowledges the humanitarian efforts of pilots and crewmembers who put themselves in harm’s way to save others, fulfilling Igor Sikorsky’s vision of the helicopter. As of 2018, the Sikorsky S-92 has flown nearly 1.5 million total flight hours, predominantly for operators serving the worldwide offshore oil and gas industry and for civil search and rescue operations. Twelve nations have selected the S-92 helicopter for their head of state missions. In May 2014, Sikorsky was selected to build the next U.S. Presidential Helicopter Fleet, the world’s most advanced executive transport helicopter, using the S-92 platform.